The temporary execution of the duties of the chairman of the Turkmenoil (Turkmennebit) state concern is assigned to deputy head Japarguly Orazov, Trend reports referring to a published decree of the President of Turkmenistan. The former head of the oil concern Dowletdurdy Hajyyew was relieved of his duties by the presidential decree for shortcomings in the operation. 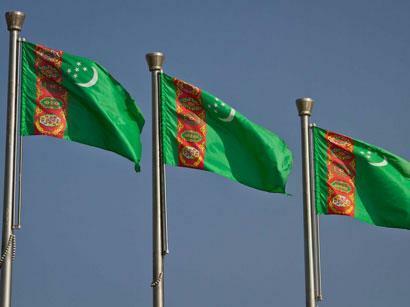 About 10 million tons of oil are extracted in Turkmenistan every year, the main producer being Turkmenneft. Burren Energy (branch of Eni), Mitro, Dragon Oil, and Petronas, are among the foreign companies involved in extraction of oil in Turkmenistan. It was reported earlier that due to assurance of the availability of proven natural gas reserves for many years, the major part of exploration is currently focused on the search for oil fields, especially in the Miocene deposits in the south-western parts of the country, and Jurassic-Cretaceous sediments in the central regions of the country. According to local geologists, almost the entire land area of ​​Turkmenistan is considered as promising for hydrocarbons. Moreover, the potential of the subsoil is estimated to a depth of seven kilometers.